Get ready to crave chowder, baked beans and cream pies, because Top Chef: Boston is premiering tonight on Bravo at 10 ET/PT. Get ready to crave chowder, baked beans and cream pies, because Top Chef: Boston is premiering tonight on Bravo at 10 ET/PT. The 12th season of the award-winning culinary competition will feature 16 hungry contestants (including one F&W People’s Best New Chef nominee), along with everyone’s favorite panel of judges (Tom Colicchio, Gail Simmons, Hugh Acheson and Padma Lakshmi), plus one new addition—Richard Blais. As a former cheftestant, Blais will serve as the judge who knows what the competitors are going through. Also new is the Sudden Death Quickfire Challenge, which can happen at any moment throughout the season. As always there will be celebrity guest judges like legendary Boston chef Barbara Lynch, Ming Tsai, Jacques Pépin and, Cheers’ favorite regular, George Wendt. F&W will be live-tweeting the premiere tonight. 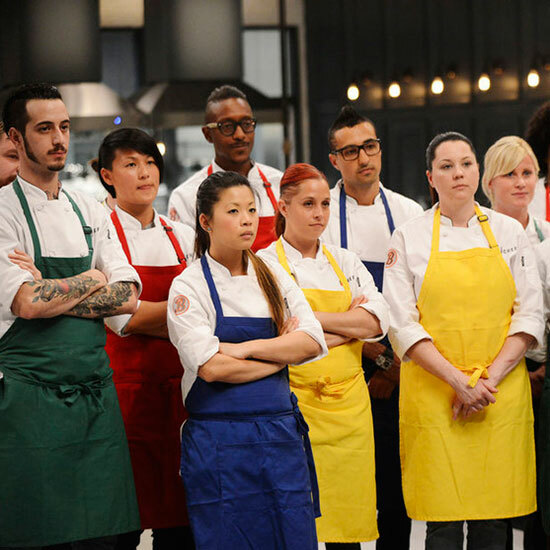 Join in and follow along using the hashtag #TopChef.